Even though I'm starting my 24th year in the real estate brokerage business, there is always something new, something I've never heard before. With our line of work centered around something as emotional as a person's home, we hear the darnedest things sometimes. There are some things that I know that I will never hear from home sellers. I was reviewing a conversation that one of our agents had with a home seller the other day. He had run into a seller who was certain that her home was worth significantly more than every other home around her (and around yours and mine as well), and my agent was trying to help her see her home from the eyes of the buyers in the market. As we often communicate through this blog, a home is only worth what a buyer, in today's market, is willing to pay for a home. And that home value is relative. It is relative to all the other homes that are available for sale at the time that the buyer is ready to make an offer. 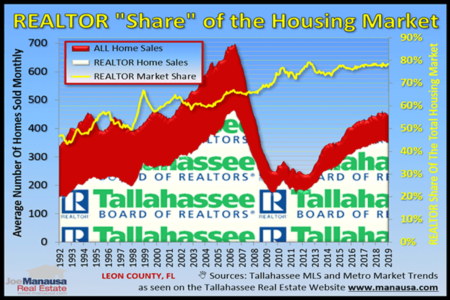 So understanding the relative supply of homes is very important for a home seller preparing to list a home for sale in Tallahassee. 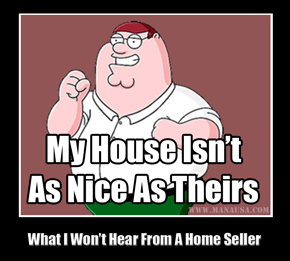 My Home Isn't As Nice As That One That Just Sold Down The Street - A Realtor uses comparable home sales and home listings ("Comps") to help a property owner determine value. If there is one thing that is common among all homeowners (including real estate agents), we believe our home is nicer than those around us (that's why we picked it, right?). So when you are looking at comps, try looking at why some buyers might like them better than they would like yours, after all, not everybody is exactly like you. Your opinion of your home's value will have no bearing on what a buyer will think, it only determines whether or not you will successfully market your home for sale. I Understand That Fixing The Roof Adds No Value To The Home - Buyers have certain expectations, and things like roofs, heating and cooling systems, and other major components are part of the package. When you have one of these systems in poor condition, it reduces the value of your home. By fixing them to proper working order, you are only bringing your home to its top value, not making it worth more than others (which also have roofs and HVAC systems). I'm In A Hurry And I'm Willing To Give The Home Away - We ask all home sellers about timing and whether or not they are in a hurry, and it's like they have been pre-programmed to give the same answer. Once we point out the amount of time they will need to relocate to the next home, they very often feel compelled to tell us that they don't want to give their home away. We know! We wouldn't want to do that either. Pricing your home is the second most important decision you will make if you want top dollar. Make it an informed decision. I Know There Are A Lot Of Homes On The Market Like Mine, What Do I Need To Do To Stand Out? - Most home sellers do not keep a finger on the pulse of the housing market. I suspect I would not either were I not in the real estate business. But right now, there is a glut of homes in most of the higher price ranges in Tallahassee, and you had better stand out if you want to beat your competition (other people just like you who need to sell a home). 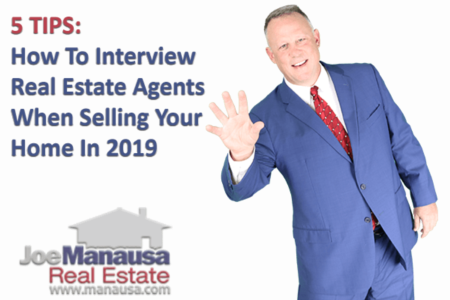 My Friend Has A Real Estate License, But She Is Just One Of 3 Agents That I'm Interviewing - Everybody knows somebody in the real estate sales business, and they too often just hire that person without interviewing others. What most people do not know is that 95% of agents sell very few, if any, homes each year. There is no formal training in the majority of real estate companies, and you are crazy if you put your home in the hands of somebody who is not in a position to help you get top dollar for your home. Regardless of friendships, selling a home is likely to be your biggest financial transaction for many years, make sure you get the best to help you. It matters! No matter where you are, regardless of market conditions, there are things you can do as a home seller to ensure that your move gets you where you want to go, with the best possible results. Take the time to gain an understanding of your local housing market conditions, and spend some time on the internet to find the right real estate agent to help you with the job of selling your home. It's likely that the decisions you make are worth tens of thousands of dollars, either for you or for the buyer that ends up in your home. If you would like to know more about selling a home in Tallahassee, please drop me a note and we'll schedule a time to help you understand everything you need to know and do to get top dollar for your home in today's real estate market.